Catch it. Grow it. Pick it. By land or by sea, North Carolina summers are bursting with the potential for grilling and outdoor dining. The state’s topography offers a variety of fish and seafood options that is truly staggering. A popular choice is rainbow trout, as North Carolina ranks second in the nation for trout sold. Whether stream-caught or farm-raised, rainbow trout are perfect for the grill. Choose a fish that is big enough to reach from end to end on your plate. Bigger trout are said to have more of the characteristic nutty/sweet flavor. 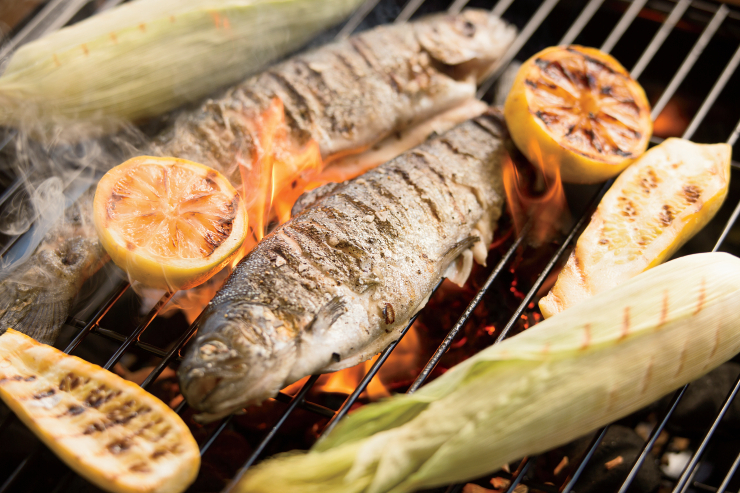 Grilled Rainbow Trout picks up smokiness that harkens back to the feasts of the earliest fishermen. Zucchini and yellow squash are so plentiful. Their abundance at grocery stores, farmers markets and backyard gardens makes them a great summer value – or free, when our neighbors and coworkers give them away. As a result, we tend to overdo it with squash casseroles and zucchini bread. It’s time to branch out. Squash is hearty and stands up well to direct heat, so you can grill it until just crisp-tender or well done, if you prefer. 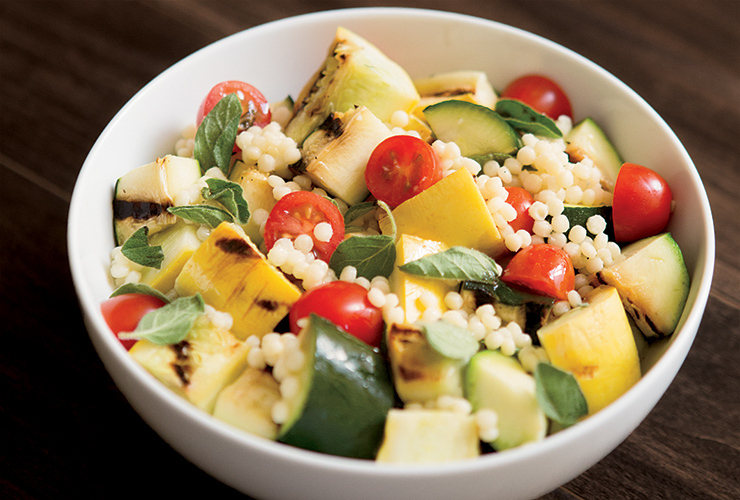 The Summer Couscous Salad with Grilled Squash and Tomatoes recipe combines these summer squash varieties with tiny, tasty tomatoes, fresh herbs and whole grains for a healthy seasonal side dish. Like their squash cousins, cantaloupe is an excellent source of vitamin A, which helps support healthy skin and eyes. July and August mark peak season for these and other melon varieties such as honeydew. 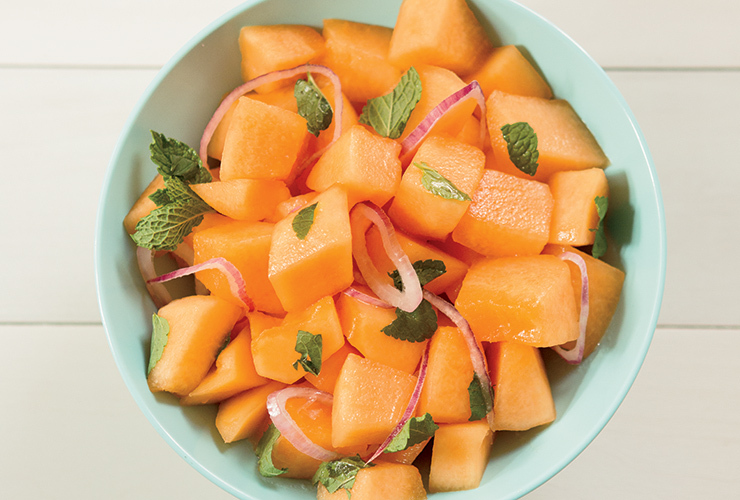 Though ripe cantaloupe tastes great on its own, I like to pair with red onion, mint and a very light honey dressing. This Cantaloupe Salad doesn’t mask the fruit’s perfection – it just coaxes it a bit. 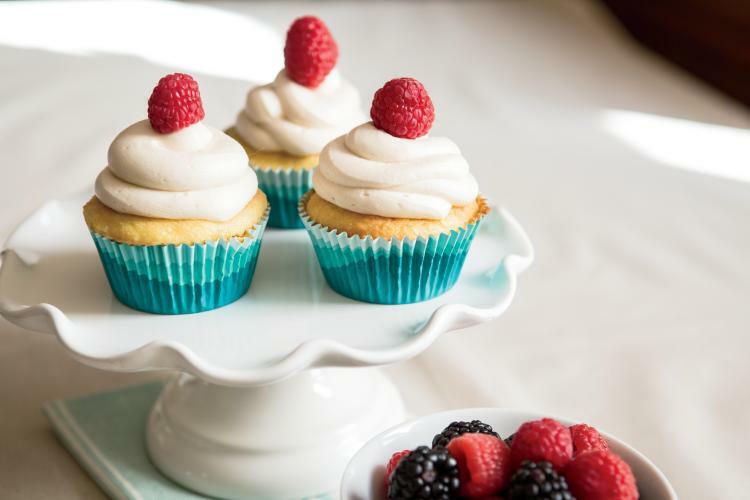 Though they are not really difficult to prepare, Berry Berry Cupcakes are a culinary knockout. 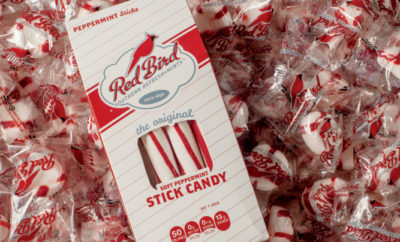 Your friends will think you bought them at a high-end bakery. Raspberries and blackberries provide both flavor and texture balance. 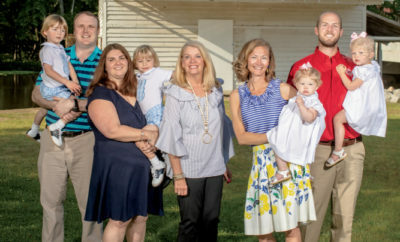 Berry production in North Carolina has increased along with tastes and demand. Local growers have really focused on expanding production for area fruit lovers, whether at farmers markets, roadside stands or pick-your-own patches. Set your table with seasonal offerings that celebrate the diversity of North Carolina’s fresh ingredients.